Nickseth Construction Limited, a Kumasi-based construction company, has selected Appolonia Business Park at Appolonia City to expand its operations and establish a base in Accra. Appolonia Business Park is a 200-acre zone suitable for a wide range of industries, providing high-quality infrastructure specifically engineered for light industrial uses. 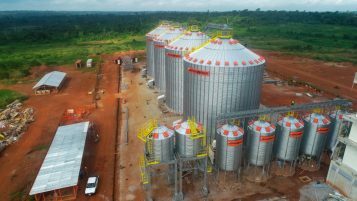 Nickseth Construction is planning to build a concrete batching plant and concrete products factory, in order to service clients at Appolonia City and beyond. The company has been in operation for over a decade and is looking to expand its reach beyond Kumasi. “As a construction company expanding its reach, we were very impressed with the planned infrastructure at the Appolonia Business Park and are delighted to be a part of the Appolonia City story as we embark on a new challenge,” said Nicholas Frimpong Boateng, CEO of Nickseth Construction. Nickseth Construction designs, builds, manages projects and manufactures quality building products for global clients and customers. The company covers all aspects of construction including commercial, public, residential and special building. Nickseth specializes in developments such as mixed use, industrial buildings, warehouses, churches, filling stations, school, design and build, etc.